Travel Insurance: All You Need to Know! Now with the right travel insurance, travelling abroad can be even more secure and hassle-free. One policy, multiple trips. Globetrotting made easy. So, you are a travel junkie and you live vacation to vacation! And you would wonder how a travel insurance would be of your help in your vacation? Well, a travel insurance would help you tackle all the travel and medical contingencies while you travel abroad. You might find buying a travel insurance silly, but it's better to be safe than sorry. Buying travel insurance would not only safeguard you from all the possible unforeseen situations but also help you cherish all the lovely memories of your stay abroad. It is utmost important to add best travel insurance to your checklist while you plan your vacation, be it for leisure or business. Travel insurance is gaining back all its lost significance. To avoid unforeseen conditions like flight delay, loss of baggage, loss of passport as well as medical emergencies, buying travel insurance becomes extremely necessary. It is also convenient and easy, as you can buy travel insurance online. Single trip policy is good for one-time travellers. The maximum of 180 days these policies can last for, however, your travel insurance policy can also be extended post a humble request to the insurer. So, have you packed your bags yet? And don't forget to buy travel insurance. This policy is ideal for frequent travellers or globetrotters. It's valid for making several trips during the year, each one ranging from 30-45 days, rewarding you with suitcases full of memories. You have the option to choose the coverage and the type of plan basis your needs. However, there are various plans offered under travel insurance. You have the option to choose the coverage and the type of plan basis your needs. However, there are various plans offered under travel insurance. Various general insurance companies offer the best of tailor-made travel insurance plans. Because every destination requires different requirements. Also, every insurance company strives hard to see that all the requirements are met and every minute detail is covered. Features like a total loss of checked-in-baggage, no medical test for a person above 80 years age, cashless hospitalization etc. are covered by most of the international travel insurance plans. Different insurance companies offer comprehensive travel insurance to the senior citizens for stress-free travel around the world. Benefits like medical cancellation of the trip, burglary back home when you are busy enjoying your vacation, loss of baggage, pre-existing illnesses cover, emergency medical expenses, personal liability, emergency financial assistance, dental treatment, flight cancellation, etc. are covered under travel insurance. A student travel insurance plan offers medical as well as financial support to the students travelling abroad for higher studies. A student might face sudden medical emergencies or financial problems while studying in the foreign land. This might interrupt his studies as well. Student travel insurance plan would cover any such emergencies throughout the duration of studies without any hindrances. If you are travelling to any of the Asian countries or Southeast Asian countries, then Asia travel insurance comes into the picture. Here benefits offered include distress allowance, loss of passport, emergency cash assistance, emergency medical cover, third-party liability etc. Asia travel insurance offers a comprehensive coverage that would take care of any uncertainties. Many employees have to visit different countries for business trips. To safeguard them from any unforeseen situations, the employers offer them with corporate travel insurance plans. These travel insurance plans can be tailor-made as per the employee's requirement and they offer medical assistance as well as travel-related cover to the insured. This covers injuries, loss of baggage, emergency evacuation, and flight cancellations. etc. There are vacations where you would like to go with your friends and relatives in a big group to have the most memorable and fun-filled vacation. Group travel insurance offers 20 or more individuals with benefits like loss of baggage, trip delay or curtailments, loss of documents etc. It is essential for every group member to go through the features and benefits of the travel insurance plan because the travel includes a big group. Anyone travelling to Schengen countries for a maximum 90 days like Austria, Belgium, Czech Republic, Denmark, Poland, Finland, Estonia, France, Greece, Iceland, Germany, Latvia, Lithuania, Italy, Hungary, Malta, Norway, Luxembourg, Liechtenstein, Portugal, Poland, Spain, Slovakia, Slovenia, Sweden and Switzerland, need to mandatorily have a Schengen travel insurance or a health insurance in addition to the Schengen Visa. Domestic travel insurance covers travel within India. Individuals are covered for loss of baggage, medical expenses, 24/7 customer support, medical evacuation, emergency cash assistance, personal accident cover, loss of baggage etc. It offers coverage to the individual policyholder. Any person above 18 years and below 65 years can opt for this travel insurance plan. Personal liability Expenses due to AIDS, mental disorder, drug abuse, anxiety treatment etc. Reimbursement of expenses family member visiting the insured if hospitalized for a week Cosmetic surgery, cost of spectacles, contact lens, hearing aids, etc. 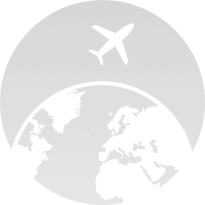 International travel insurance - offers coverage for 2 adults up to 60 years and 2 children up to 21 years. Family travel insurance - offers coverage for 2 adults up to 60 years and 2 children up to 21 years. Student travel insurance - offers coverage for students aged between 16 and 34/40 who wish to travel abroad for higher studies. Senior citizen travel insurance - offers coverage to senior citizens aged up to 85 years. These senior citizens do not have to go through a medical test. Schengen travel insurance - offers coverage for adults up to 70 years and new-born babies over 90 days. However, the travel should be only business or tourism. There are chances that you might come across some unforeseen situations in a foreign land. To tackle such emergencies, especially in unfamiliar surroundings, it becomes important to buy the best travel insurance plan. Travel insurance safeguards you financially from situations like hijack, theft, sickness etc. The cost of such emergencies abroad would rip you off completely without a good travel insurance plan. 24/7 customer service support to policyholders and assistance for loss of documents, accidents, etc. So, wait no more and buy travel insurance online and become worry-free. What Makes Comparison of Travel Insurance Important? Travel insurance plans offer coverage from all possible emergency crisis during transit. Different insurers form their own best travel insurance plans on certain parameters. Those parameters could vary from one plan to another. You must compare travel insurance, as this would help you understand if the features and benefit of your chosen travel insurance plan align well enough with your requirements and preferences. If you compare travel insurance policies, you would get the best travel insurance plan that is not only pocket-friendly but at the same time also provides adequate coverage for loss of baggage, trip delays, or even personal accident. It is good to have several quotations in front of your eyes, their advantages, terms and conditions. It can help you compare, shortlist and nail down the best travel insurance policy that is suitable for you. Once you complete your comparison you can then buy travel insurance online. Pre-existing Medical Conditions: Check the terms that each insurance provider has about pre-existing conditions. Limits on Trip Duration: If you are traveling abroad, for how many consecutive days would you be covered? That's one of the questions you need to ask yourself when comparing plans. If you exceed the pre-determined limit even a single day, it could invalidate your insurance plan. Levels of Cover: Figure out what your needs are and how much cover would serve the purpose of purchasing a travel insurance. Sports and action-packed holiday: If you are an adrenaline-junkie and engaging in risky sports or activities during your trip is on your mind, get covered for that as well. Personal belongings: If you are negligent, your insurer could refuse to compensate upfront. Most policies only cover theft or accidental loss of cash if you were pick-pocketed or it was sneaked from your safe deposit locker in your room. Flight cancellations: You are all set to fly on a dream journey, but due to illness your trip is cancelled. Your travel insurance can cover your cancellation expenses. Missed flight: It may not be your fault if you miss a flight, but ensure your insurer covers you for a new flight. Exclusions: Sometimes certain destinations could be excluded from your policy. Compare policies to check if they cover destinations that you would most likely be your weekend getaway. Additional benefits: Make your travel insurance policy more appealing by adding extra benefits such as free support, easy approval, hassle-free claim process, free cover for children. Speak to our Coverfox advisory team to understand your options and settle for nothing but the best travel insurance plan. We are here to help you buy travel insurance online. How to Compare Travel Insurance Online? 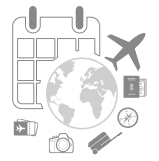 Once you complete the comparison and zero down on the best travel insurance plan, you can buy travel insurance online in just a few clicks. The older you are, the higher will be the cost of premium you need to pay. You would need to pay more while traveling to countries such as Japan, the United States or Canada. Going on a long trip? You'll have to be prepared to shell out more money for your premium. Single trip insurance requires a lower premium than a multi-trip cover. It also depends on the sum assured. 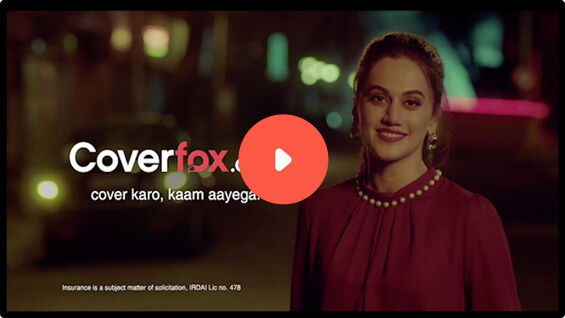 At Coverfox, we help you compare travel insurance in India along with expert advice and an informed, unbiased opinion that clears the confusion and helps you buy that perfect plan for you. Can it get any easier? What's not included in your Travel Insurance Cover? Going for extreme, high-risk sports, like scuba-diving and bungee-jumping. Coverage: Evaluate the coverage offered against the premium you would pay to strike perfect balance. Claim Settlement Ratio: Keep an eye on the reputation of the insurance company in disposing claims and the speed of settlement. Customer Service: Has to be quick and competent to handle travel emergencies arising in a different geographical location and time-zone. Exclusions and Deductibles: Know what's not covered in the policy. Remember that most insurers set a deductible amount, to be paid by the trave-ler during emergency. Every insurance company offering Travel Insurance has a network of international assistance companies or partners who offer assistance in case you need any help in a foreign land. The contact numbers are usually mentioned in your policy documents. Did you know that these companies can do the following things for you? Why is it important to take travel insurance? Travel insurance protects you coverage against travel risks such as stolen baggage, cancellation of flight, accident, injury etc. It pays you the financial expenses towards the unforeseen incidents that may spoil your trip and put a financial burden on you. Is there a free look period in the travel policy? Yes, there is a free look period for annual multi-trip travel policy. The condition is that free look period benefit is available provided your trip has not commenced. A deductible in your plan is something you will have to pay from your pocket in a claim. For example, if a deductible on a travel insurance for hospital treatment is $100 and the bill comes to $1000 then the insurance company will be liable to pay only $900 and the rest $100 will be borne by you.